On the other there are the commercial network, guided by a manager who deals with sales and purchases, and the logistic department managed by a manager too. It is of great importance within the company the role of the lab, made up of specialized technicians, along with that ofquality control manager – essential element in the Molino Piantoni’s structure– who carries out all sorts of checks on products, system and process. Accounting and the personnel to conclude, are managed by the finance department and the human resources. Molino Piantoni is a structure studied and thought to develop the production at its best as well as to respond to the client’s requirements. It is divided inmacro areas which in turn are subdivided in departments. On one hand there are the productive tasks, managed by the manager who holds a degree in agriculture and who works under the guidance of thegeneral director. 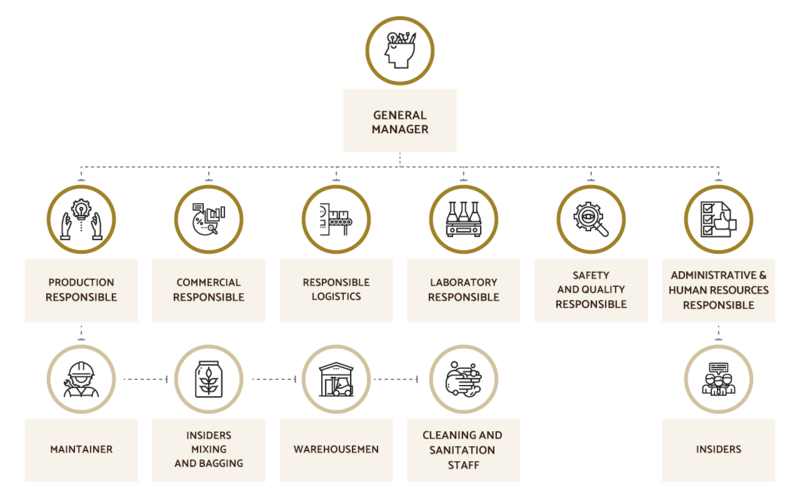 With him work many employees each of whom carries out a specific duty from the maintenance technician to the one in charge of the blending and the bag filling, from theassistants to the warehouse workers to the cleaning qualified personnel.